Carol Kunz was born in New Ferry, England. Her interest in the supernatural was first sparked upon reading Bram Stoker's Dracula at the age of eleven. As a teenager, her fascination with the mythology behind vampires, werewolves and witches continued. Being an avid reader, Carol finds it easy to spend several hours wrapped up in a great fantasy novel. Adam Kunz was born in Newport News, Virginia. Growing up, he was a huge fan of creature features and books about things that go bump in the night. When he's not busy writing, Adam enjoys his job at a certain theme park in Orlando, Florida as a décor consultant. This job brings him face to face with all sorts of nightmarish creatures, especially when he decorates the haunted houses for the park's annual Halloween event. Carol and Adam currently reside forty-five minutes away from each other in the sunny state of Florida. Music is such an important part of my (Adam) writing process. My mom, Carol, usually has to write in silence, but she does sometimes have the TV on in the background though. It may sound weird, but I can’t seem to write without listening to music. I’m convinced that it allows me to clear my head of all the other story ideas that are floating around up there, and just focus on my current project. If I want to get to a certain emotion while writing, I like to listen to a certain song. If I’m writing a romantic scene, I may put on a song like “A Thousand Years” by Christina Perri, or “Back To December” by Taylor Swift. If I’m writing a heart-pumping action scene, I may put on a song like “Promises” by Nero, or “Burn It Down” by Linkin Park. I find that music just immerses me right into a scene, and I can really get into it if I’m driven by a good song. I’ve actually come up with several scene ideas simply by just listening to a song. In terms of The Childe series, music has played a huge part in its creation. Not only did I listen to music the entire time while writing it, but we also created a soundtrack that perfectly complements the first two books in the series. Lee Marvin, a truly awesome and talented individual, created and produced The Childe Soundtrack. 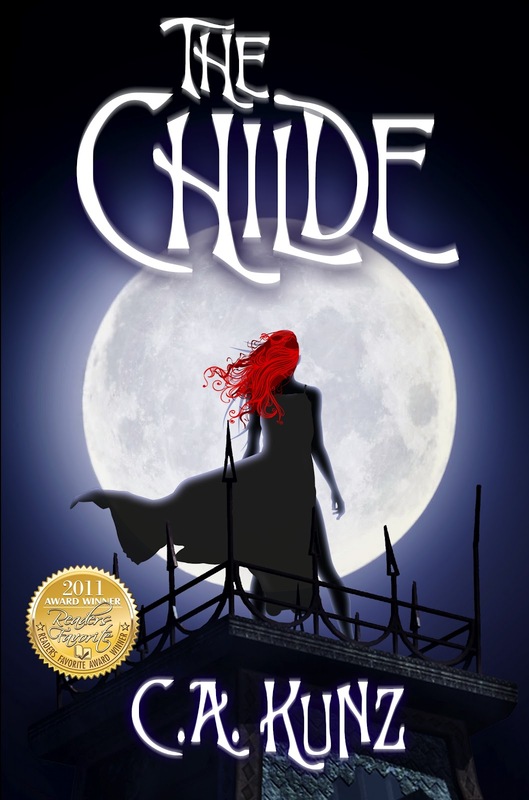 Lee read our first novel, The Childe, and immediately wanted to write a song inspired by it. That one song, “Amber,” led to me working very closely with Lee to create the entire 14 song soundtrack, and we couldn’t be happier with the final product. With our new series The Modified, which is a dystopian fantasy, I’ve been listening to a lot of Dubstep music from Nero, Skrillex, Flux Pavillion and Deadmau5 while writing. These artists have a futuristic feel to their sound that immediately puts me into the world of The Modified, and I think listening to this kind of music really enhances the scenes I write. We’re also working with Lee Marvin on a soundtrack for The Modified series, and it will incorporate Dubstep music mixed with the soft styling of artists like Taylor Swift and Christina Perri. So far the songs have such a unique feel to them, and we’re really looking forward to sharing this soundtrack with everyone. So, as you can see music plays a large role in my creative process, and I seriously wouldn’t have it any other way. My love for music is only rivaled by my love to read and write, and the fact that I can to say I get to do all three of these things in one project, seems like a dream come true. Cool! 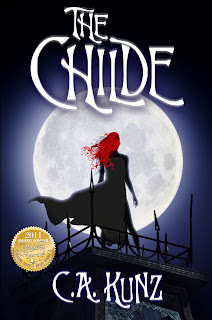 Especially because who ever wins my giveaway will receive a copy of The Childe soudtrack! Sounds great right?! Well be sure to check out my review as well as a GIVEAWAY here. OK...now I've totally got to get that soundtrack! I'm the same way, when I was in school, I always had to have music or the TV on while doing homework. On a second note...just with the mention of The Modified soundtrack and the music you listened to that inspired you, I can't wait to read it! Can you tell us any more about it?